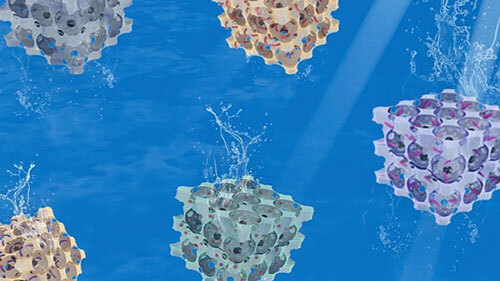 Building on a unique idea, scientists have developed a cost-effective new method for converting and storing solar energy into hydrogen. 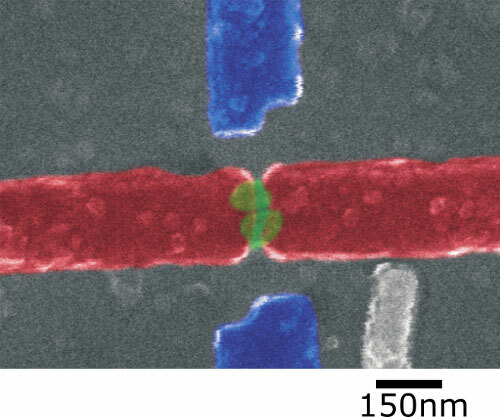 Researchers have successfully produced pairs of spin-entangled electrons and demonstrated, for the first time, that these electrons remain entangled even when they are separated from one another on a chip. 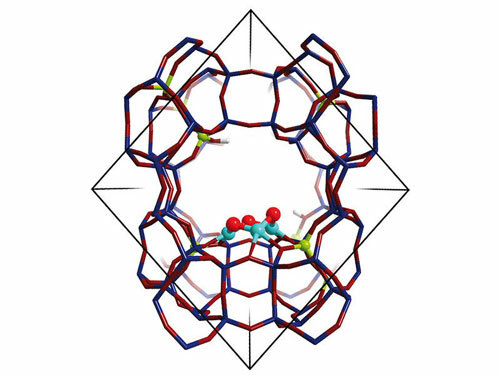 A new bio-inspired zeolite catalyst might pave the way to small scale gas-to-liquid technologies converting natural gas to fuels and starting materials for the chemical industry. Investigating the mechanism of the selective oxidation of methane to methanol they identified a copper-oxo-cluster as the active center inside the zeolite micropores. 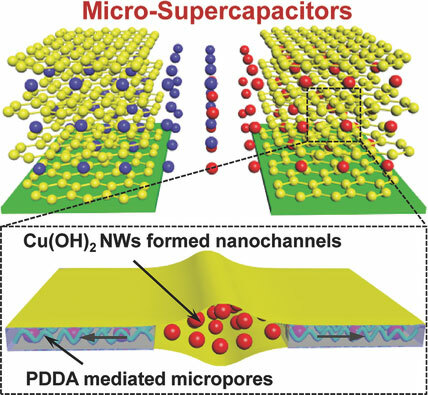 A team of scientists in Korea has devised a new method for making a graphene film for supercapacitors. The world is built up of molecules that join together and form different building blocks; new software makes it easier to zoom right in to the individual molecule. Chemists have developed two novel methods to characterize 3-dimensional macroporous hydrogels - materials that hold great promise for developing 'smart' responsive materials that can be used for catalysts, chemical detectors, tissue engineering scaffolds and absorbents for carbon capture. Physicists were able to show how biological motors and molecules can be used to carry out precise measurements of magnetic materials. 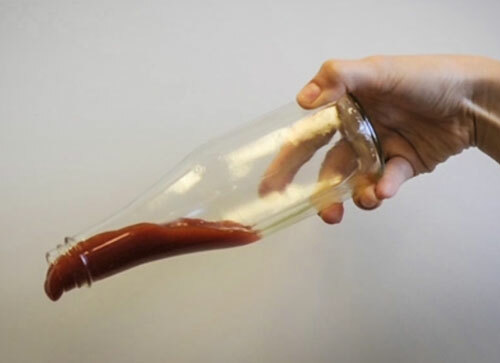 The days of wasting condiments - and other products - that stick stubbornly to the sides of their bottles may be gone, thanks to MIT spinout LiquiGlide, which has licensed its nonstick coating to a major consumer-goods company. 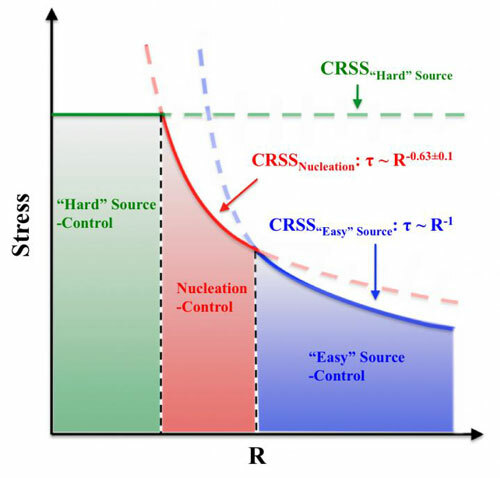 New study of hydrogen storage material magnesium hydride reveals path to better performance, possibly paving way toward better future fuel tank. Nanoparticles packed with a clinically used chemotherapy drug and coated with an oligosaccharide derived from the carapace of crustaceans might effectively target and kill cancer stem-like cells, according to a recent study. Researchers who developed a high-speed form of atomic force microscopy have shown how to image the physical properties of live breast cancer cells, for the first time revealing details about how deactivation of a key protein may lead to metastasis. 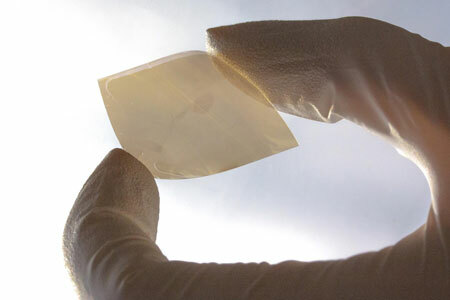 Researchers have developed a new biodegradable silicon transistor based on a material derived from wood, opening the door for green, flexible, low-cost portable electronics in future. 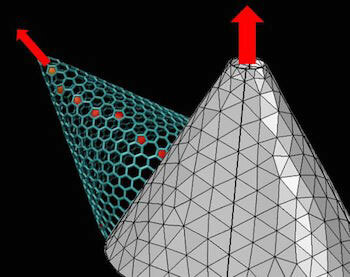 Scientists have developed cutting-edge image gathering and processing techniques to map the nanoscale structure of carbon nanotubes inside a composite material in 3-D. 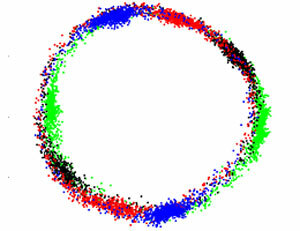 Exactly how the nanotubes are distributed and arranged within the material plays an important role in its overall properties. 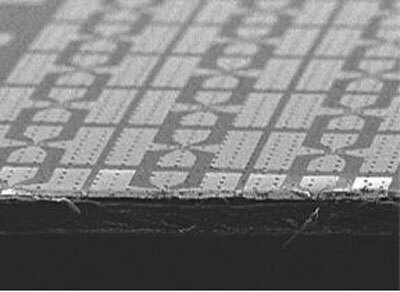 Flexing graphene may be the most basic way to control its electrical properties, according to calculations by theoretical physicists. Scientists have described how glasses form at the molecular level and provided a possible solution to a problem that has stumped scientists for decades. Their simple theory is expected to open up the study of glasses to non-experts and undergraduates as well as inspire breakthroughs in novel nanomaterials. 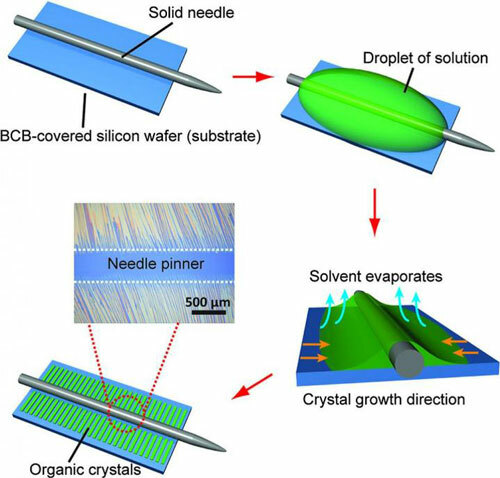 Scientists describe a simple solution processing method where well-aligned single-crystals of organic semiconductors throughout a 1cm × 2cm substrate can be grown from a droplet pinned by a metal needle. The well-controlled alignment of the crystals originates from the unidirectional receding of the pinned droplet regulated by the capillary force.